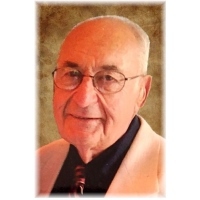 Natale "Tony" Anthony Maniaci, 86, of Zanesville passed away at 12:29 P.M. Wednesday, January 16, 2019 at the Genesis Hospice Morrison House. He was born September 28, 1932 in Cleveland, Ohio the son of Natale Benedetto and Martha Elena Puleo Maniaci. Tony was a member of St. Nicholas Catholic Church, a U.S. Navy veteran with the Sea Bees during the Korean Conflict and later U.S. Army National Guard. He was employed most of his life as a Brick Mason and was a former Member of the Zanesville Sertoma Club. Tony was a member & past president of the Mended Hearts and loved playing Chess, Camping, and Traveling. He is survived by his wife of over 61 years, Genevieve "Gen"J. (Lamarca) Maniaci whom he married May 18th 1957; three sons, Anthony (Darcy) Maniaci, Michael (Karen) Maniaci, and James (Caren) Maniaci; a daughter, Lisa Maniaci; 10 grandchildren; 8 great grandchildren; and a brother Matthew (Joanne) Maniaci. In addition to his parents, Tony was preceded in death by a son, Natale Louis Maniaci. Visitation will be held 4:00 P.M. to 8:00 P.M. with Military honors at 8 PM followed by closing prayers on Friday, January 25, 2019 at the Bryan & Hardwick Funeral Home. Funeral Mass will be celebrated 10:30 AM, Saturday, January 26, 2019 at the St. Nicholas Catholic Church with Fr. Martin Ralko as celebrant, followed by a luncheon at the Knights of Columbus Hall. Burial will conclude at a later date. Memorial Contributions can be made to the Genesis Hospice & Palliative Care, 713 Forest Ave. or to the Mended Hearts Organization, C/O Treasurer, 5650 Dillon Hills Dr., Nashport OH 43830. The Bryan & Hardwick Funeral Home, 2318 Maple Ave. Zanesville is in charge of the arrangements. To share memories and condolences with Tony’s family please click on the Guest Book link on this page.